Obituary of Joyce Culpepper Bourne, published 30 Dec 2006. Correspondence from Billie Wyvonne Culpepper New (#7412) (some records appear to be originally frm Betty Elizabeth Culpepper Cooper #58094), Jacksonville, AR, to Lew Griffin, 1994. S. W. Arnold & Louise Anderson, compiler, Marion Co., Mississippi Cemeteries, Sherwood, AR: Arnold, 1988, Repository: LDS Family History Library - Salt Lake City, Call No. US/CAN Books 976.221 V3a. + Dora T. Culpepper, 13 Jun 1900 - 7 Jul 1962. Winfred Culpepper, Son, M, Wh, 2, sng, MS/MS/MS. James E Culpepper, Son, M, Wh, 3 5/12, sng, MS/MS/KAN. James E Culpepper, born 1926 in MS, White, Single, Education: 4 yrs HS, Height/Wt: Unk; Resided in: Marion Co., MS; Enlisted 9 Nov 1945 at Langley Field, VA in Regular Army as PFC. Nan Victoria Culpepper, Female, born __ 1959 in Harrison Co., Texas, child of James Edward Culpepper and Jerolene Myrna Tolar. Nettie G Culpepper, Daughter, F, Wh, 1 10/12, sng, MS/MS/MS. Obituary* 30 Nov 2007� POPLARVILLE— Funeral services were held Thursday, November 29, 2007 at 10 a.m. in the McDonald Funeral Home Chapel for Myrtis C. Albritton, 80, of Poplarville who passed away Monday, November 26, 2007 in Poplarville. Burial was in the New Palestine Baptist Cemetery under the direction of McDonald Funeral Home, Picayune, MS. The Rev. R.T. Buckley officiated the services. A native of Poplarville she was a homemaker and a member of Juniper Grove Baptist Church of Poplarville. She was preceded in death by one grandchild, David Hinkley. Survivors include: Charles Albritton of Picayune, James Allen Albritton of Lucedale, Miss.,Valva Ruth Palet of Poplarville, Vernon Harold Albritton of Picayune, Carolyn Marie Nations of Kansas City, Mo; brothers and sisters: Grace Crowder of S.C., Paul Culpepper of Poplarville, Sherry Liles of Poplarville, Nelda Seals of Poplarville, Carey Culpepper of Carriere and Richard Culpepper of Picayune; eight grandchildren; and one great grandchild. Picayune Item, Picayune, Pearl River Co., MS.
Obituary of Myrtis Culpeppper Albritton, published 30 Nov 2007. E-mail written 5 Jul 2010 to Warren Culpepper from Tanya Mair Culpepper (#61509), e-mail address. Obituary* 27 Oct 2004� Griffin J. Seals. Services were at 2 p.m. Sunday, Oct. 24 at White Funeral Home Chapel for Griffin J. Seals, 85, of Poplarville who died Thursday, Oct. 21, 2004, in Wiggins. The Rev. A.J. Page officiated at the service. Burial was in Hester Cemetery, Stone County, under the direction of White Funeral Home of Poplarville. A native of Pearl River County, he was a retired heavy equipment operator and a member of East Pearl Baptist Church. Obituary of Griffin J. Seals, published 27 Oct 2004. LaVerne Bienenfeld went to be with her Lord and Savior on June 29, 2006 in Kirkland, WA. She was born on December 24, 1919 in Almond, Alabama to Benjamin and Lillie (Stewart) Harris. She was raised in Wadley, Alabama, graduated from Wadley High School and later received her Associate of Arts degree from Marsh Business School. She married Samuel Lewis Bienenfeld March 1949 in New York City, NY. She worked as a riveter in aerospace in commercial airlines production and also worked for the U.S. Government. In 1966, she and her sons moved to Tacoma, WA from Monroe, New York. 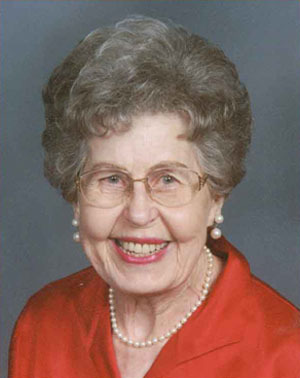 She was an active member of Chapel Hill Presbyterian Church for 30 years and had a strong faith in God. She often volunteered to help others in need. LaVerne was a wonderful mother to her sons and a caring sister. She was a great cook and a superb hostess for family functions. She was tender, sweet, with gentle eyes and a beautiful loving smile. LaVerne is survived by her sons: Richard Bienenfeld and Larry Bienenfeld, her sister Lucy Stephens, a brother Herb Harris and two grandchildren (Nicole and Brent). She was preceded in death by her husband Samuel, a brother Ben and her sister Louise and her brother-in-law Steve. A reception celebration of LaVerne's life will be held at Madison House in Kirkland, WA, where she was a resident for the last two years of her life. The gathering will begin at 3 p.m. on Wednesday, July 19, 2006. A memorial service will be held 3pm, Sunday July 23rd at Chapel Hill Church in Gig Harbor, where she spent many years enjoying friends, family and her water-view home. She will be laid to rest at Haven of Rest Cemetery in Gig Harbor. Remembrances preferred as donations to: Fred Hutchinson Cancer Center, Contributions: J5-200, P.O. Box 19024, Seattle, WA 98109-1024. Friends are invited to share memories and sign the family's on-line guest book at www.Flintofts.com. E-mail written Oct 2008 to Lew Griffin from Charles Olsen, e-mail address.